Emmanuel Emenike is the latest Nigerian star to join a new club in the buzzing summer transfer window. 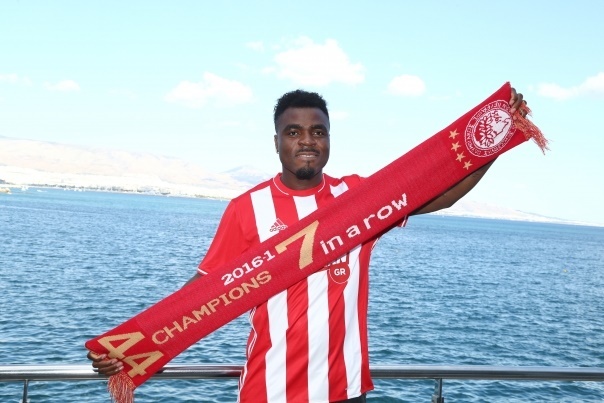 The 30-year old completed his switch from Fenerbahçe to Olympiakos on Wednesday and the perennial Greek champions have confirmed the signing of the former Super Eagles striker. It is understood that Emenike signed a two-year contract thought to be worth two million Euros (around N900m), and will have the option for an additional year. In his first reaction after completing his move, Emenike told his new club's official website he is in to prove his worth. Brown Ideye who has since moved to China is the most recent Nigerian to play for Olympiakos.